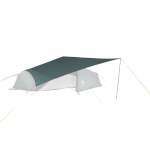 This Terra Nova Laser Pulse 1 Tent is a simple, easy to use tunnel design, that is one of the lightest tents in the world. 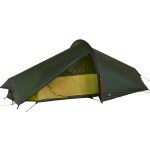 It also has a tiny pack size with a packed length of just 30cm. This super-lightweight tent is very versatile; the tent can be used with the flysheet and inner together, or with the inner only or flysheet only as weather conditions permit. 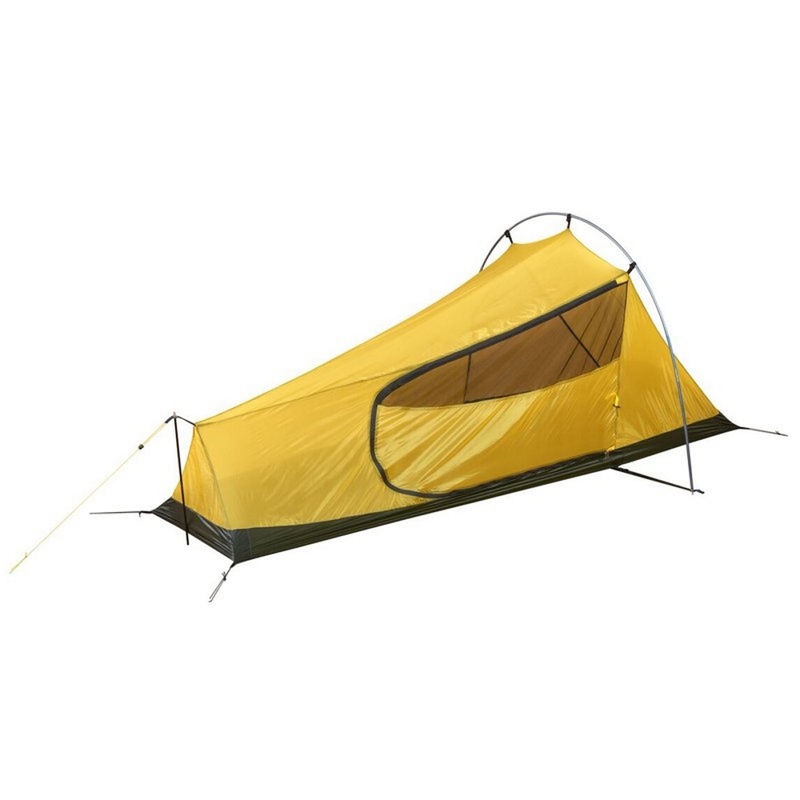 This is a tent for outdoor enthusiasts requiring the lightest tent for events and backpacking trips, whether staying on a campsite or wild camping. 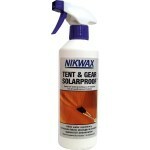 It's ideal for short duration mountain marathons or medium duration backpacking forays and has been designed for 3 season use. The one pole tunnel style is designed to provide the maximum amount of space while keeping weight to a minimum, as well as being simple and quick to pitch. The low weight and tiny pack size (just 30cm long) provide great flexibility to event participants and backpackers looking to minimise their load in both weight and volume. 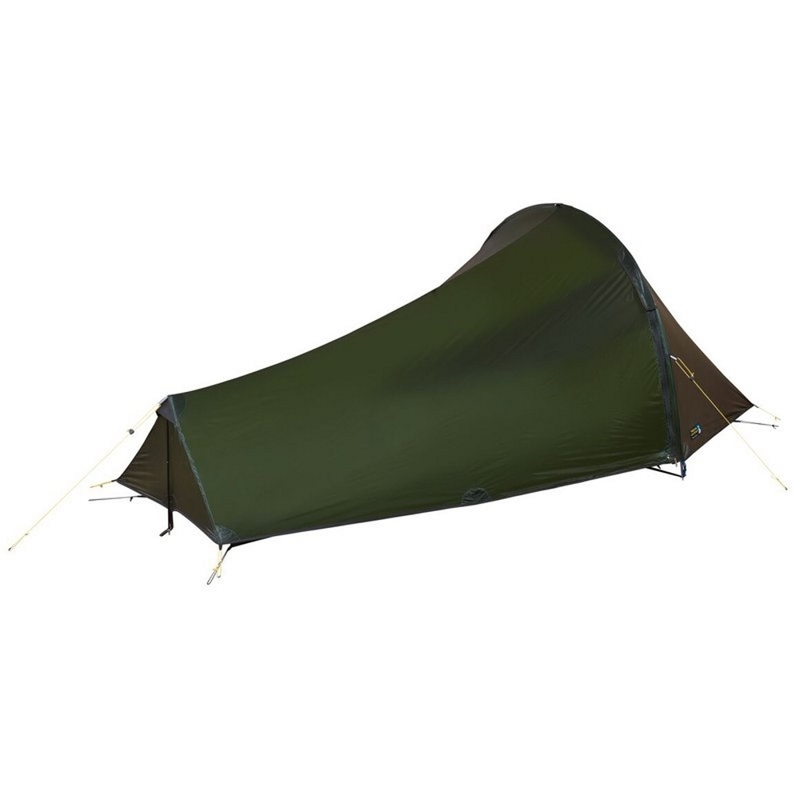 The tent's low weight has been achieved by using ripstop nylon 7 Denier fabrics, a DAC main pole, which gives a good balance of high strength and 1g titanium pegs. 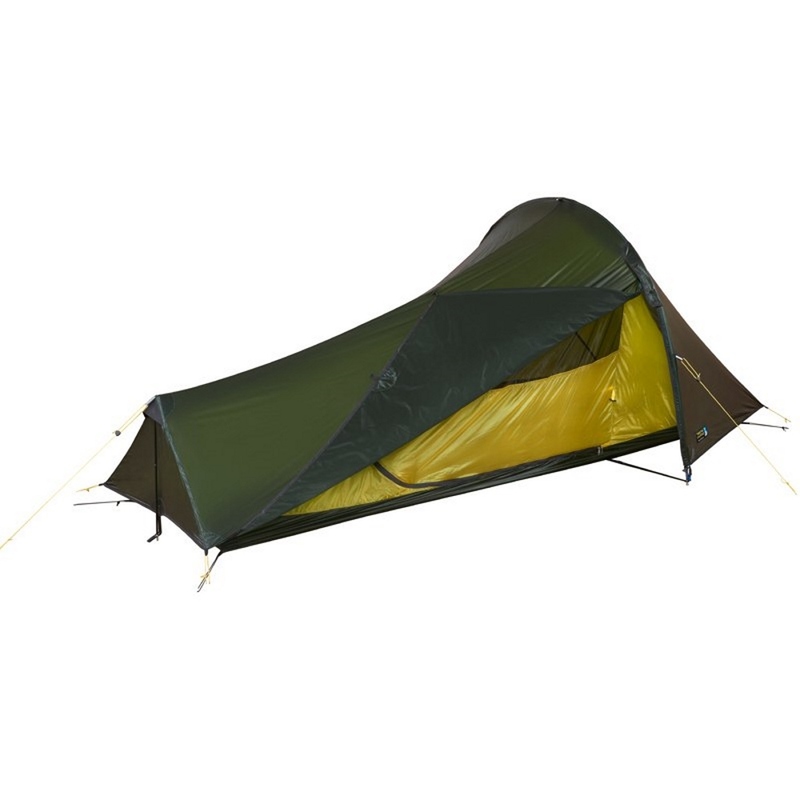 The DAC pole folds down to just 29cm in length and can be left attached to the flysheet when packing the tent away, for a speedier pitch next time. 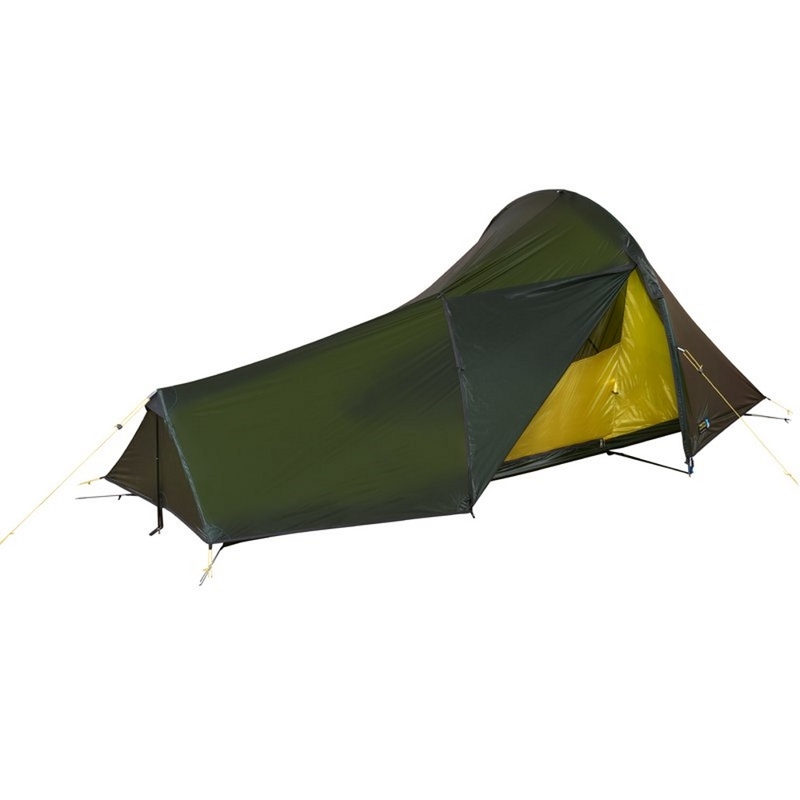 In designing the Laser Pulse 1, Terra Nova wanted to make sure users had reasonable head room - the inner height of 82cm under the main pole is just 5cm lower than the Laser Photon 1 tent, enabling most users to sit up comfortably. The front porch can accommodate kit and provide shelter when preparing food. 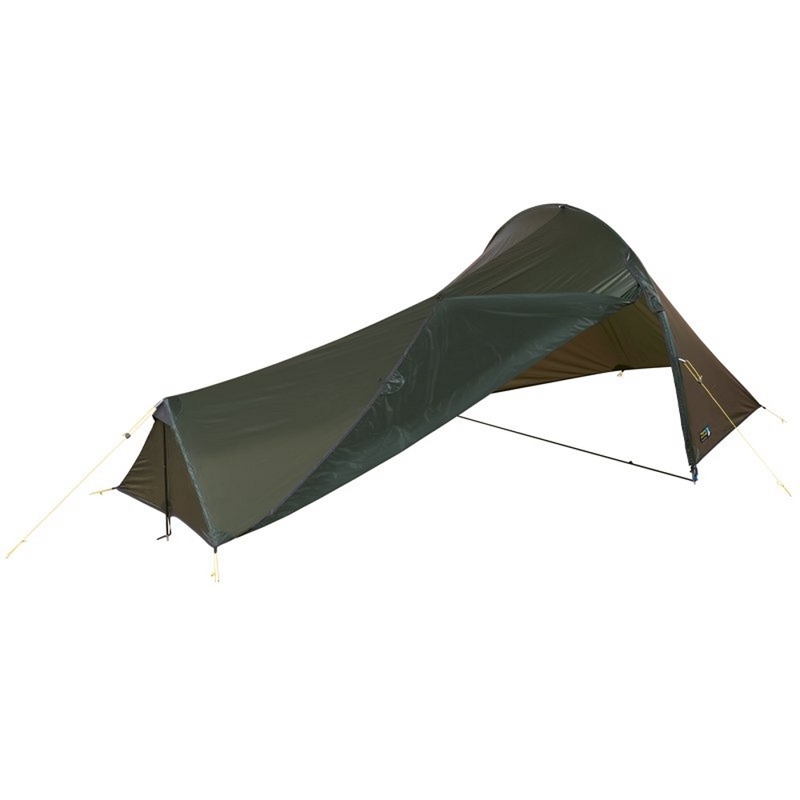 The full mesh door provides good ventilation, additional airflow can be achieved by inserting the shortest pole in the eyelet on the front hem of the flysheet. It's tiny pack size allows it to be easily slip into a rucksack or daypack too and the packed weight of 545g includes: flysheet, 3 poles, inner tent, pegs, guy lines, tent bag, pole / peg bag. 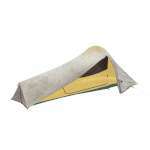 It excludes the owner's manual pack and fabric repair patches which also come with the tent.